Vitamin C is also known as Ascorbic Acid. This water soluble vitamin plays a very important role in many bodily functions. Since it is water soluble, that which the body does not use is constantly being passed through the body via the urine. As the body does not store Vitamin C in its tissue, we need to consume it on a regular basis. Vitamin C or ascorbic acid is a powerful antioxidant that protects our body from harmful effects of free radicals that cause oxidative stress or cellular rust that can lead to atherosclerosis that can cause both heart disease and stroke. Vitamin C enhance body's immune system and helps to prevent many infectious diseases like common cold and flu. Vitamin C may not be a cure for common cold or flu but it may help prevent more serious complications. Taking vitamin C for colds and flu can reduce the risk of developing further complications, such as pneumonia and lung infections. Vitamin C is also very helpful in improving overall eye health. Eye pupils require Vitamin C to function properly. 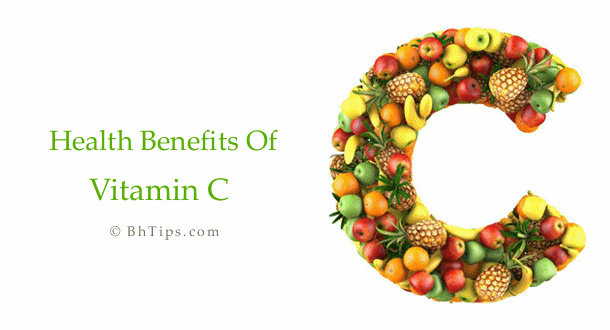 Vitamin C is also essential to prevent cataracts. Vitamin C deficiency can lead to cataracts. 1000 mg Vitamin C per day helps a lot to stops cataracts in their tracks and improves vision. Vitamin C also helps in iron absorption.Human body needs iron to make the oxygen-carrying proteins hemoglobin. Iron deficiency may lead to blood anemia. Eating foods rich in iron as well as vitamin C may help to prevent iron deficiency blood anemia. Vitamin C plays an important role to regulate sugar levels reducing the risk of getting diabetes and improves the symptoms of existing cases. People with diabetes can get benefit by increasing their intake of vitamin C.
Vitamin C reduces the risk of many heart problems by preventing free radicals from damaging the artery walls which could lead to plaque formation. Vitamin C also keeps the cholesterol from oxidizing which can cause heart stroke. Additionally vitamin C also helps in regulating high blood pressure. Antioxidant properties of Vitamin C protect cells from DNA damage and mutation and protects from cancer in the long run. Additionally vitamin C boosts immune system and prevents the formation of certain cancer forming compounds. Vitamin C reduces the risk of development of many types of cancer including colon, mouth, throat, stomach, oesophagus and lung cancer. Vitamin C plays an important for preventing many tooth and gum diseases and promoting healthy gum tissue. Vitamin C is essential for producing healthy connective tissue that keeps your teeth locked into their sockets. Additionally Vitamin C also boosts your immune system so your white blood cells can control bacteria levels in your mouth. Vitamin C also helps in wound healing by replacing damage tissue with new cells and speed up the healing process. Wounds that heal slowly indicate vitamin C deficiency. Additionally Vitamin C improves skin elasticity and helps to create scar tissue and ligaments for quick recovery. 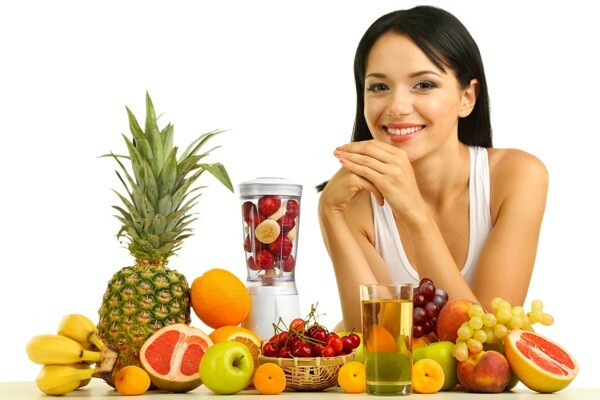 Vitamin C acts as a powerful anti aging agent. Vitamin plays an important role in production of collagen which in turn gives the skin firmness and prevents from premature wrinkles and early signs of aging. Collagen can delay the development of wrinkles and saggy skin by maintaining its elasticity. Important sources of Vitamin C are oranges, tangerines, limes, guava, lemons, papayas, strawberries, black currants, grapefruit and mangoes. Many vegetables contain Vitamin C including collard greens, green and red peppers, broccoli, tomatoes, brussel sprouts, cabbage, potatoes, kale, spinach(palak), and watercress. To preserve more of the Vitamin C content, eat these fruits and vegetables raw or only slightly cooked. Steam and exposure to light break down this vitamin. Vitamin C deficiency can causes Scurvy, a condition that used to affect sailors who spent long periods at sea. Early symptoms of Scurvy affect the mouth area including gum that bleed and teeth that become loose. As it progresses, muscles become weak and joints become painful. Other signs that the body may be experiencing a deficiency of Vitamin C include frequent infections, weakness, prolonged colds, painful and swollen joints, nose bleeds, and anemia symptoms including tiredness and loss of skin color. Humans are not able to produce this vitamin themselves and it is therefore recommended that we should take a supplement, or try to eat fruit and vegetables which could meet the daily requirement of Vitamin C.
Although vitamin C has many health and beauty benefits but yet you should avoid the over doses of vitamin C because too much vitamin C can result in a sensitive, irritable stomach and mouth ulcers. High doses can cause kidney stones, diarrhea and nausea.